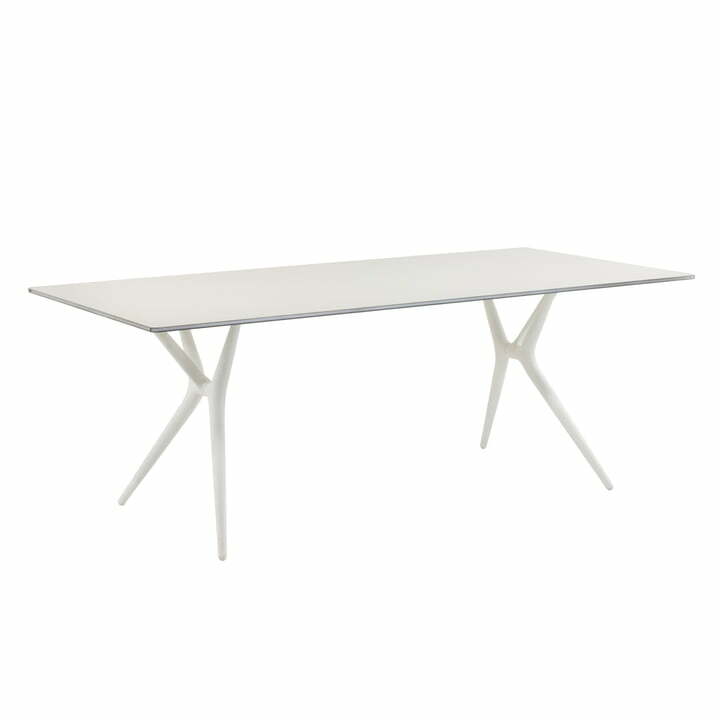 The Spoon table is a weightless, foldable office or dining table; whose weight and the practicability make it special. The versatile table was designed by Antonio Citterio as well as the Spoon office chair and the Spoon barstool. The used materials make the table very innovative: Spoon’s table top is made of weaved aluminium ant it has a thickness of only 15 mm. 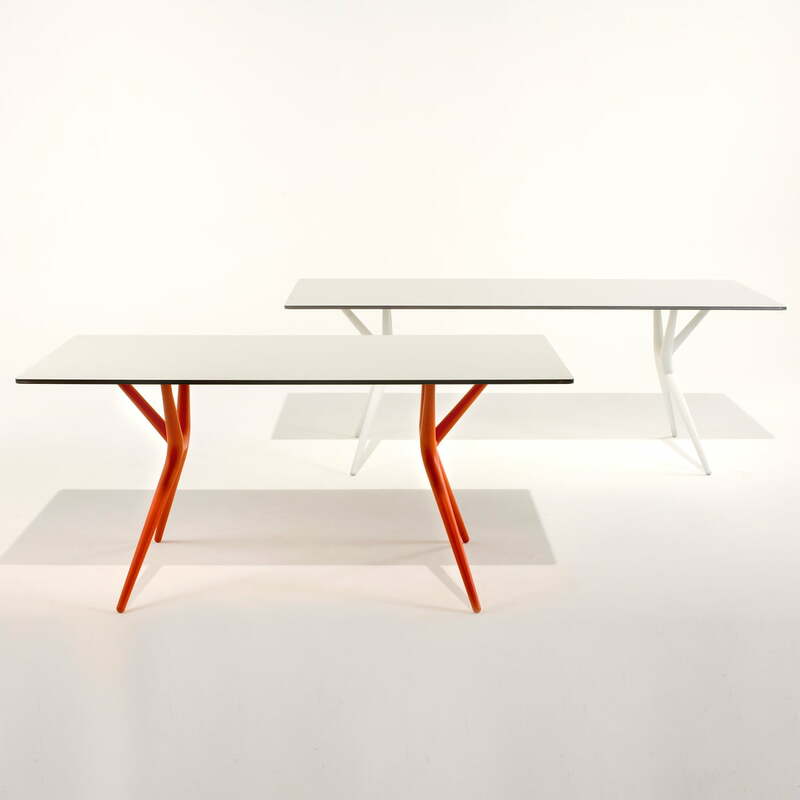 The surface of the practical table by Kartell is made of white laminate, the edges of methacrylate and the bottom is coloured in order to emphasize the transparency. The legs are made of techno polymer and ensure resistance and aestheticism. 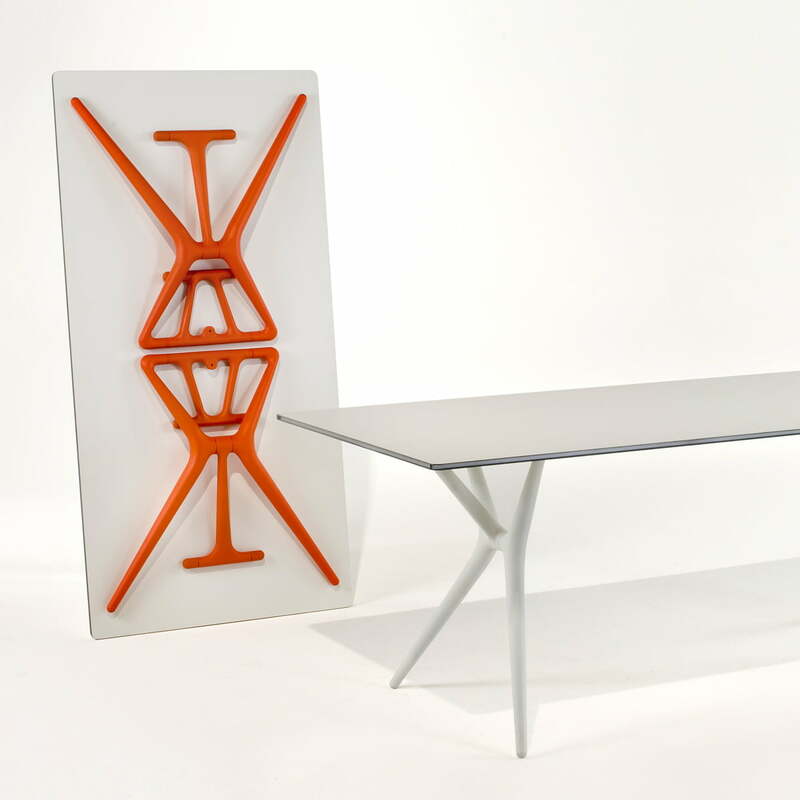 The table by Kartell is folded with a knee lever, which makes the practicability even easier. The legs are fixed with an eyelet on a gate, without the need of further tools. Spoon table is therefore the perfect table for small, flexible rooms and it is easily portable. The table top of Spoon is available in three sizes (140 cm, 160 cm and 200 cm) and the coloured base and the edges are available in several combinations (white/white, white/orange, black/black).